The 2014 Subaru Forester enters its 4th generation with more of everything that's helped make it a mainstay of the automaker's lineup since being introduced here in 1998. Significant improvements to the Forester's handling, powertrain efficiency and passenger/cargo space, plus sophisticated new creature features promise to keep this compact all-wheel drive SUV a high-profile player in its ultra-competitive market segment. Solidly built SUV with ease of comfort, driving ability and design. Due to certain physical disabilities, I not only needed a car that felt comfortable driving, but also was a bit higher up from the ground. This means I needed a car I could step up into, rather than one that sits low to the ground. My Subaru forester accommodated me perfectly in this regard. The outside appearance and shape of the car is very aesthetically pleasing. The windows are large to make backing up very easy to see all angles. The tires that came with the car were extremely good quality, providing a very smooth ride. The trunk space accommodates a large capacity of various items for the average family, to make shopping supplies easy to load and unload. This car is great for road trips and the trunk alone was able to contain suitcases etc. for up to 4 adults. The inside of the car is also beautiful, provides perfect visibility and has many various features. The sound system (radio, CD player) are extremely good. The car is extremely comfortable to drive and for all passengers sitting in the front, as well as the back. This is a very solid feeling car. I have driven many different makes and models of cars and this car is by far the best I have ever owned. I highly recommend this car to everyone, if it is within your budget. The overall quality is exceptional. Subaru forester pros. The power and responsive steering is there for me. I like the Subaru forester for several reasons. First of all, it has a lot of pick up when needed to pass other vehicles, plus very responsive handling. It also has comfortable seats and an appealing overall body look. It gets great gas mileage and has had no mechanical problems. There are also several things I do not like about the forester. Some of the interior materials are less than quality, especially the carpeting and the cloth seats. The carpeting is easily worn looking and so are the seats in areas where wear is more prominent. Another problem is dirt and leaves seem to collect in door cracks and along the windshield below the wipers. It is sometimes a chore to keep the vehicle clean in those areas. 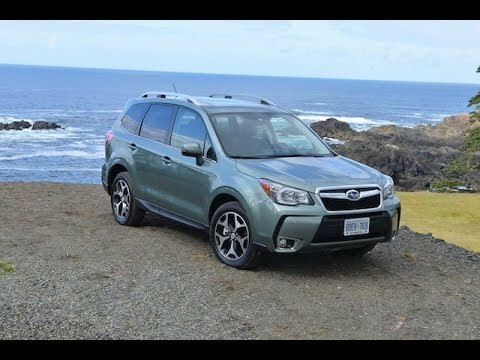 Subaru Forester review from owner. Vehicle is very comfortable, roomy and easy to drive. There have been 2 issues with the vehicle; the first occurring a few months after it was purchased. As I was driving it home from work it started stalling out and starting back up. It had to be towed from home to the shop. The other time happened in the line to my bank. I had put it in park and it wouldn't go back into any other drive. Car was towed again. Both times it was fixed at very little cost to me. We had purchased an extended warranty.